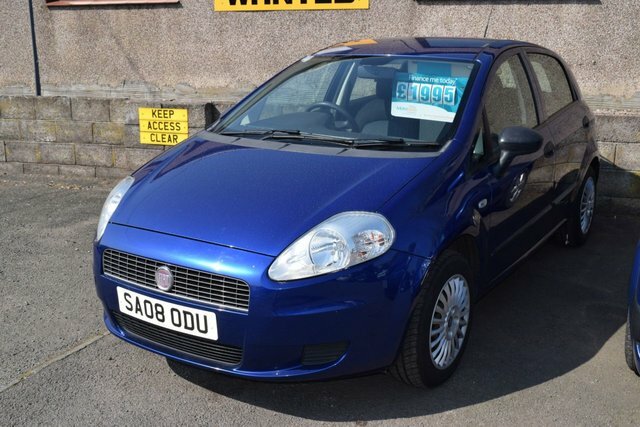 Affordable, cheap to run and well equipped, the Fiat Grande Punto is a supermini with plenty of interior space and a boot that's big enough to make this a practical choice. You'll enjoy impressive safety features and good handling, and the car's economical nature means it achieves low fuel consumption and won't put a dent in your finances. Speak to a member of the team at Simpson Motors to find out more about the range of used Fiat Grande Punto models for sale in Glasgow right now. You can browse our complete stock here on the website too, before arranging a test drive.